Makakatana Bay Lodge is the only privately owned lodge within the iSimangaliso Wetland Park – a pristine World Heritage Site of lake estuary, forest, dunes, wetlands, coral reef waters and savannah thornveld. 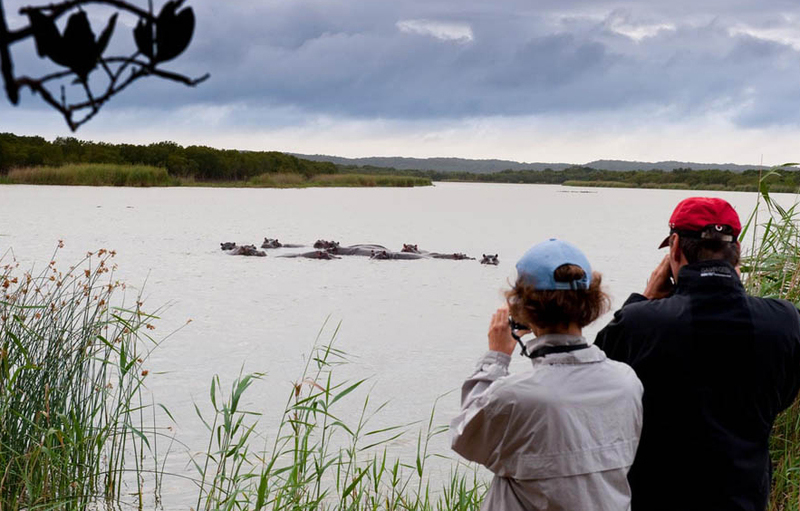 Enjoy safaris into the wetlands, boat cruises, beach trips and day-safaris in the Hluhluwe-iMfolozi Game Reserve. Five luxury rooms and a honeymoon suite with private boma make gorgeous retreats, tucked away along timber walkways in a sand forest. There's currently no specials at Makakatana Bay Lodge.